This historical masterpiece overlooking the Nassau cruise port exudes colonial flair. With a private beach and freshwater pool surrounded by day beds and colorful cabanas, this downtown resort is the perfect urban getaway. If you're feeling adventurous try paddle boarding, kayaking, snorkeling and sailing, or hop aboard the ferry for sightseeing tours of nearby islands. Soak in the city and harbor views from the comfort of remodeled suites and rooms. Upgrade to Executive Lounge access for perks including complimentary continental breakfast and refreshments. Two on-site restaurants offer something for every taste, while the hotel bar serves up a large rum selection in a chic setting. 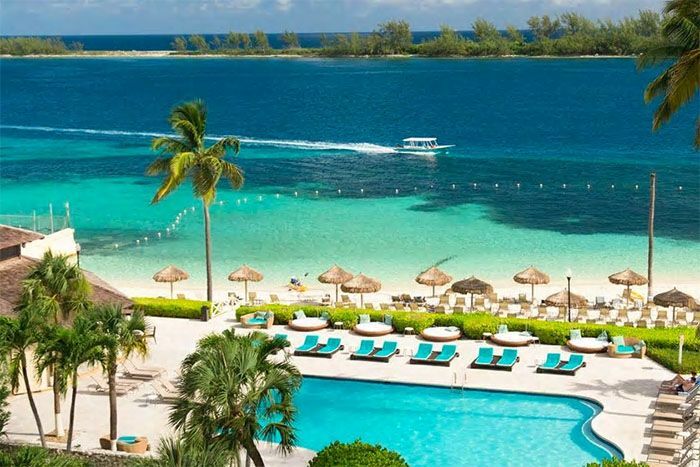 British Colonial Hilton Nassau offers a warm and welcoming experience in true Bahamian style.